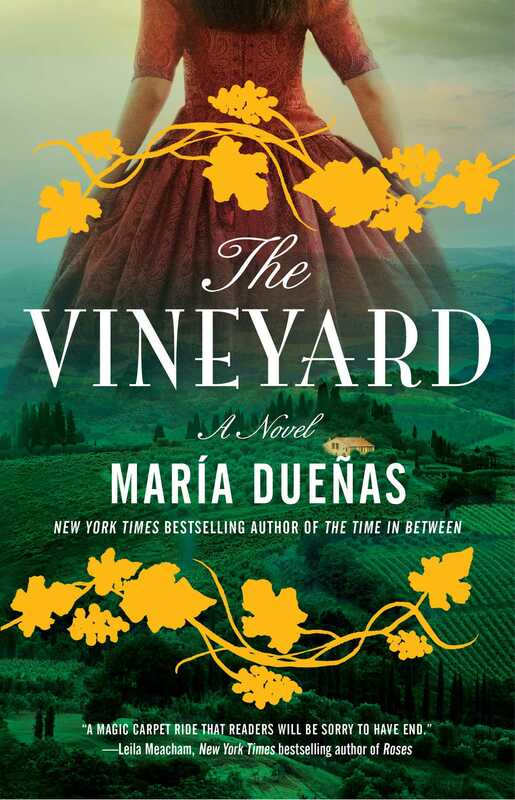 New York Times bestselling author Maria Dueñas returns with The Vineyard, a magnificent story “destined to become a classic” (Armando Lucas Correa, bestselling author of The German Girl) about ambition, heartbreak, and desire set in Mexico, Cuba, and Spain in the 1860s—perfect for fans of Kate Morton and Kristin Hannah. Mauro Larrea’s fortune, the result of years of hardship and toil, comes crashing down on the heels of a calamitous event. Drowning in debt and uncertainty, he gambles the last of his money on daring ploy that wins him a neglected house and a vineyard in Spain, an ocean away. He journeys to Jerez de la Frontera in Andalusia with every intention of selling the property and returning to Mexio—until Soledad Montalvo, the wife of a London wine merchant, bursts into his life, determined to regain the property which was her family’s legacy. With his plans derailed, Larrea glimpses an opportunity in the flourishing sherry trade and finds himself increasingly drawn to the rich, intoxicating culture of his new surroundings. As his feelings for Soledad ripen into a consuming passion, he vows to restore the vineyard to its former glory, setting the stage for a future he never could have imagined. Moving from the turbulent young Mexican republic to flourishing city of Havana, and onward to the fertile vineyards of Jerez as the wine trade with England is transforming the Andalusian city, María Dueñas’s new novel spans the New World and the Old. Her tale of family intrigue vividly conjures the noise and grit of silver mines, the sophistication of the Mexican capital, and the earthier lure of ancient vineyards and magnificent cities whose splendor has faded. Here is an “evocative, tender, and lush” (Diana Gabaldon, #1 New York Times bestselling author) story of courage in the face of adversity and of a destiny forever altered by the force of passion. This reading group guide for The Vineyard includes an introduction, discussion questions, and ideas for enhancing your book club. The suggested questions are intended to help your reading group find new and interesting angles and topics for your discussion. We hope that these ideas will enrich your conversation and increase your enjoyment of the book. Mauro Larrea sees the fortune that he built after years of hardship and toil come crashing down on the heels of a calamitous event. Swamped by debts and uncertainty, he gambles the last of his money in a daring move that offers him the opportunity to regain his fortune. But when the unsettling Soledad Montalvo (Claydon by marriage), wife of a London wine merchant, comes into his life, her passionate intensity lures him toward an unanticipated future. The Vineyard spans the diverse worlds of the young Mexican republic to magnificent colonial Havana, from the West Indies to the Jerez of the second half of the nineteenth century, when its wine trade with England turned the Andalusian city into a legendary cosmopolitan enclave. Replete with glories and defeats, with silver mines, family intrigues, vineyards, and splendid places whose grandeur faded with time, it is a story of resilience in the face of adversity, of a life forever altered by the force of passion. 1. How would you describe Mauro Larrea? How did his character change or stay the same throughout the novel? 2. Mauro travels from Mexico City to Havana to Jerez, but the events leading up to his arrival at La Templanza and meeting Soledad Montalvo are catalyzed by setbacks relating to the Civil War in the United States. How might Mauro’s and Soledad’s lives have unfolded without the circumstances that brought them together? How does Mauro’s journey show how interconnected the world was even then? 3. Tadeo Carrús built his wealth from the tribulations of others. How does this reflect Mexico’s sociopolitical climate during that time? How does it expose the way business was conducted in the young republic? 4. Gambling is prevalent throughout the novel when it comes to securing or regaining fortunes, regardless of whether they were inherited or earned. Name some instances of this in the novel. How does it work out for the characters in each situation? How does it alter the course of their lives? 5. Contemplate the tragedy that struck the Montalvos, and how severely it threw every member of the family off the paths they thought their lives would take. How would their lives have unfolded if young Matías hadn’t been killed? What path might Mauro’s life have taken if he hadn’t encountered Carola and Gustavo under those circumstances in Cuba? 6. Young love never ripened for Inés Montalvo and Manuel Ysasi nor for Soledad Montalvo and Gustavo Zayas—partly due to the introduction of Edward Claydon, but completely imploding after tragedy struck the heart of the Montalvo family. How did love’s misfortunes shape each of these characters? How did it alter their world? 7. After casting aside Manuel Ysasi in favor of Edward Claydon, then being spurned by Edward in favor of her sister Soledad, Inés chooses to take the veil and eventually assume the name Mother Constanza. Why do you think she chose that path? Why did she isolate herself completely from the surviving members of her family? 8. In spite of everything, Gustavo Zayas kept the family secret and suffered in silence in Cuba. What kind of life might he have led if he had told the truth or had the strength to return to La Templanza when he first learned he’d inherited his childhood home? 9. Soledad Montalvo and Carola Gorostiza are women whose fates are tied to their husbands, neither of whom can be trusted to look after the best interests of their wives anymore. Compare the actions Soledad and Carola have taken to secure their future by acting on their husband’s behalf or without their knowledge. How did each handle the situation? What was the outcome for each? Can either be blamed for her actions, especially at the end of the nineteenth century? 10. Though Mauro is furious with his son when he tells his father of his plans for the future, Nicolás Larrea is seeking to leave a mark on the world in his own way. Compare Nicolás; our perception of him through his father’s eyes at the beginning to when we meet him for ourselves; and Soledad’s stepson, Alan Claydon. How does Alan view the world and what it and his father “owe” him? 11. Mauro and Soledad are each thrust into chaotic situations by forces outside their control, triggered by business decisions they made—Mauro to expand his business and Soledad to secure her daughters’ futures. Each of them handles the events that unfold in their own way. What do their actions reveal about who they are, how they’ve come up in the world, and how they’ve fought to retain what position and power they have? How do they complement each other? 12. In the end, Mauro and Soledad finally come together. Compare Mauro’s and Soledad’s pasts leading up to this point. Could they have joined at a different time in their lives? How did their experiences bring them together now? 1. Soledad Montalvo joins the ranks of female protagonists like Bathsheba Everdene in Far from the Madding Crowd and Scarlett O’Hara in Gone with the Wind. Read these two books with your book club and compare their protagonists and the settings in which they are determined to thrive. 2. Tour a local vineyard or attend a wine tasting with your book club as you discuss The Vineyard. Sample some sherry from Jerez, if possible. 3. To learn more about María Dueñas and her books, read reviews, find her on tour, and become a fan of her Simon & Schuster author page at simonandschuster.com/authors/Maria-Duenas/77269656. You can also follower her on social media or register for updates (in Spanish) on her website: mariaduenas.es. "This sprawling tale will charm fans of historical romance." "Dueñas capably reveals the grace of second chances, as Larrea’s hard work overcomes a cruel twist of fate. There is despair; there is betrayal; there is romance and triumph. Dueñas’s many fans as well as readers who appreciate well-researched historical fiction will find The Vineyard appealing." "This sprawling family saga is filled with romance, intrigue, adventure, and a bit of melodrama. It’s a leisurely yet always entertaining read that will appeal to lovers of Isabel Allende’s Zorro." "A wonderful novel, in the old and good tradition, with intrigue, love, mystery and tender, audacious and clean-cut characters." "Evocative, tender, and lush; a wonderful experience of times and lives in turmoil." 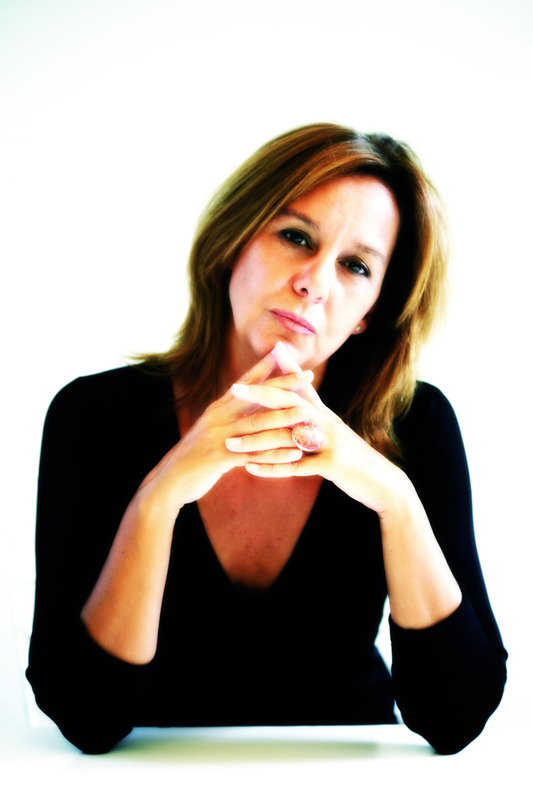 "María Dueñas is a true storyteller. She weaves a spell, conjuring the heat and the glamour, the hardship and the thrill of Morocco and Spain in the late 1930s."